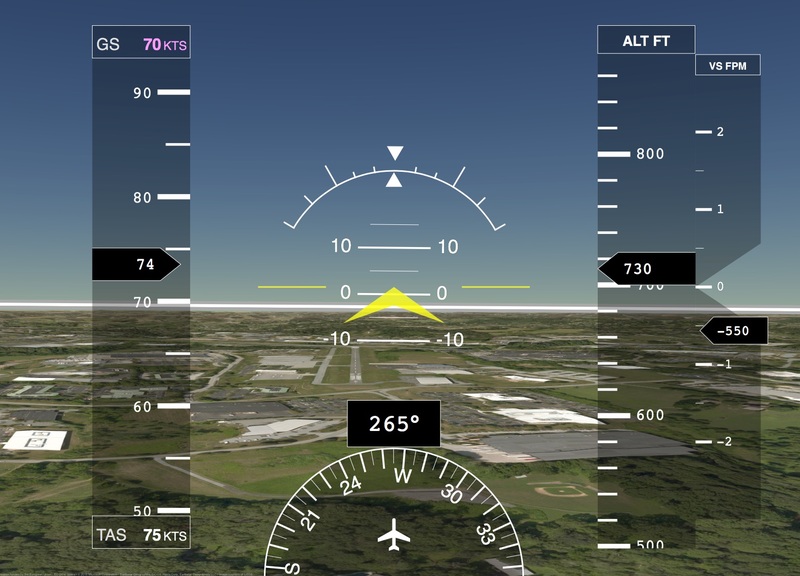 or IFR charts) so you can debrief the different sections of your training flight. It also can overlay the wind vectors, which is helpful for checking turns around a point, pattern work, etc. Here is the overhead image of yesterday’s flight. He turned the app on after I had done IFR work with the foggles on, so the track doesn’t include the first third or so of our lesson. Like all the pics I post here you can click it to see it full-sized. The red sections are stalls, the spaghetti section in the middle was steep turns left and right, and the circles were turns around a point. I just replayed this part of the flight and monitored my speed on the approach. I did pretty well. Was still around 83 knots or so on base, but was through the 70s on final and right at 63 (the indicated landing speed for this airplane) over the threshold. I can see this is going to be a valuable tool in my instruction. You can see the flight yourself by clicking here. There is a free version of the CloudAhoy service, but it’s limited in what you can debrief and share. The full subscription is $45 per year, and it immediately seems worth it to me as a student pilot. I’ll be signing up. And finally, you can connect the service with X-Plane, FSX, and Prepar3d as well. I’ll try this today, as it would be cool to track simulated training flights from the basement sim.